Macbeth International for the kickoff to the 2018 awards season, the 75th annual Golden Globes. This year’s Golden Globes will pay honor to Oprah Winfrey with Seth Meyers as host. The real excitement of the Golden Globes is the ultra-exclusive lavish parties during and after the show, and Macbeth International can give you VIP access. Music’s biggest night is moving to Madison Square Garden in New York City. James Corden will return to host the 60th edition of the marquee event. 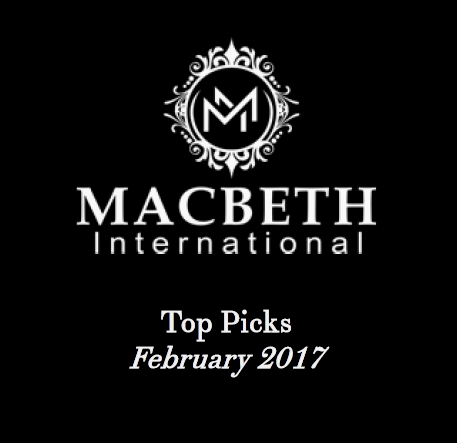 Macbeth International is your Grammy weekend expert for red carpet events, private parties and exclusive VIP experiences. Viewed as one of the best predictors of the Oscars, the Critics’ Choice Awards is an extremely popular event each awards season. This year the show will be broadcast live from the Barker Hangar in Santa Monica. Contact Macbeth International lifestyle team to learn more about this exclusive event. Britain’s largest awards show will take place at the O2 Arena in London with comedian Jack Whitehall hosting the event. Ed Sheeran, Sam Smith, and Dua Lipa are headlining performers at this year’s event, with many more performers still to be announced. Join Macbeth International for a host of after parties, and exclusive VIP extras. The biggest and most anticipated of the awards shows, the Oscars will return to the Dolby Theater in Los Angeles for a night you won’t want to miss. Fill out your ballots, then join Macbeth International at official Oscars viewing parties or one of the many other Oscars parties happening throughout the weekend including gala dinners and entertainment with Hollywood’s elite.